Do you or a family member need Social Security benefits, but find that the application process is long and frustrating? Don’t worry. You’re not alone. Many Americans, from retired workers to individuals who have experienced a physical or mental disability, depend on these benefits for a large part of their monthly income. According to the Social Security Administration (SSA), “66 million Americans received benefits in 2016 that were administered through SSA programs.” Unfortunately, the government system is flawed and the process to obtain benefits can seem impossible. If you’re struggling to gain benefits, don’t lose hope. It’s simply time to call a social security lawyer, like Fitzgerald & Bomier. With over 35 years of legal experience, our Neenah attorneys specifically focus on obtaining Social Security Disability Insurance (SSDI), Supplemental Security Income (SSI), and Workers’ Compensation for our clients, so we are extremely knowledgeable and prepared to successfully handle your claim. Often considered an ‘entitlement’ for older individuals, Social Security benefits are not just given. It is actually earned through years of work experience, with some limited exceptions. To qualify for retirement benefits, you need to have 40-lifetime work credits. While single credits aren’t that difficult to collect — one credit is earned for every $1,320 in wages — keep in mind, your credits max out for the year once you reach four. So, in 2018, it would take a worker ten years to earn 40 work credits to qualify. A physical or mental disability that prevents you from working, however, can allow you to qualify without the 40 credits. Your age, medical condition, and work experience will all be considered in determining if you meet the government’s strict criteria to obtain SSDI/SSI benefits. If you have experienced a debilitating injury or illness that prevents you from making a reasonable living, you could be entitled to receive benefits to help you cover the cost of living. If you fall under all of these categories, you should consider contacting a knowledgeable attorney to help you with the application process to obtain benefits. You can no longer perform your job, due to the nature of your condition. Or if you are working, your disability prevents you from earning above a certain amount governed by the substantial gainful activity (SGA) limit. Your disability will not allow you to adjust to other types of work. Your condition is predicted to last more than one year or result in death. SSDI and SSI claims are controlled by the SSA and, like any government program, they have unique and tricky rules and regulations. Receiving disability benefits can be a challenging process because the SSA has become extremely strict about who they approve. While every claim is different, it is common for an applicant’s initial claim to be denied, even if they meet all the government’s qualifications. Why is this, you might ask? 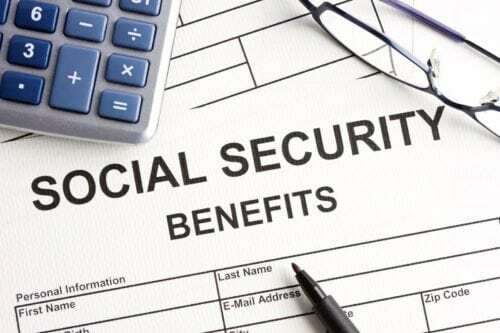 The SSA has been pressured to be even more cautious in awarding SSDI/SSI benefits because dishonest individuals have been found to fake health conditions or injuries so they can receive a monthly check from the programs. In order to crack down on these fraud attempts, the SSA has made the application more tedious, requiring applicants to provide medical evidence that they’re disabled and unable to perform their job. SSDI/SSI claims are often denied the first time due to insufficient evidence or missing documents. Consulting a skilled attorney can help you ensure you have everything you need to qualify the first time. If your claim has been denied, you have the option to appeal. It may even be necessary to have your case heard by an Administrative Law Judge in order to overturn a denial. Only an attorney can guide you through this legal process and help prepare you to present your case in court. A passionate social security lawyer at Fitzgerald & Bomier, LLC can help you navigate the specific laws affecting your claim much easier. We have extensive experience in obtaining SSDI/SSI benefits for clients and know exactly which forms, medical records, and doctor statements are required to establish your disability. Fitzgerald & Bomier has helped hundreds of clients in Neenah, and the Fox Cities of Wisconsin maximize their benefits and make the most out of the complicated system. Our attorneys are not only knowledgeable but strive to provide clients a superior experience while representing their legal interests. We understand the financial pressure retiring or living with a disability can place on your family. That’s why we strive to provide consistent communication and prompt updates on your claim. With Fitzgerald & Bomier’s legal experience on your side, you can rest easy knowing we will aggressively help you win the SSDI or SSI benefits you need to support your livelihood. Fitzgerald & Bomier’s unprecedented success rate and quality legal service take the guesswork out of the flawed government system, so you can relax and focus on you and your family. Fitzgerald & Bomier will help you maneuver the imperfect government system and daunting application process to get what you rightfully deserve. 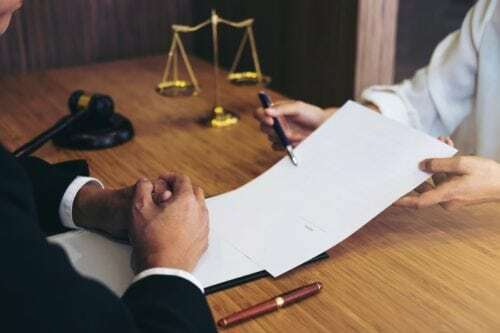 Our experienced attorneys can help you get the most out of your SSDI/SSI benefits, so you can have the financial support to cover medical bills and daily necessities. Call Fitzgerald & Bomier, Neenah and Fox Cities premier SSDI/SSI and Workers’ Compensation law firm, today at 800-928-2667 for a free case review. Jeff Stewart is a West Virginia attorney with many years of experience in employment law. Jeff’s experience in employment law includes the Fair Labor Standards Act, Family & Medical Leave Act, Contract Work Hours & Safety Act, and Employee Retirement Income Security Act.